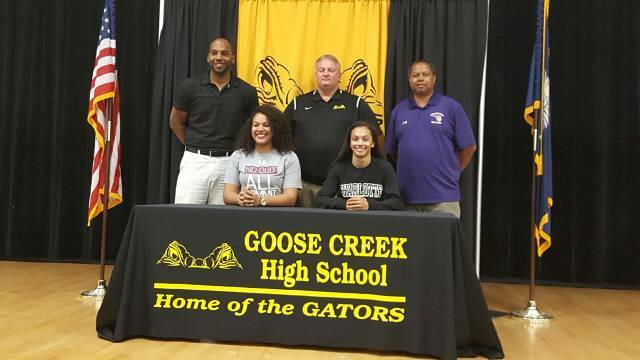 Ericka is a 6'2 forward for her Goose Creek Lady Gators HS team. 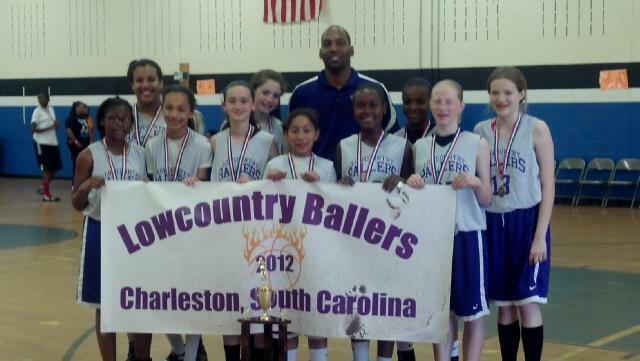 Her HS Head Coach Tim Baldwin, has been a long time supporter and coach with the Lowcountry Ballers since our inception! 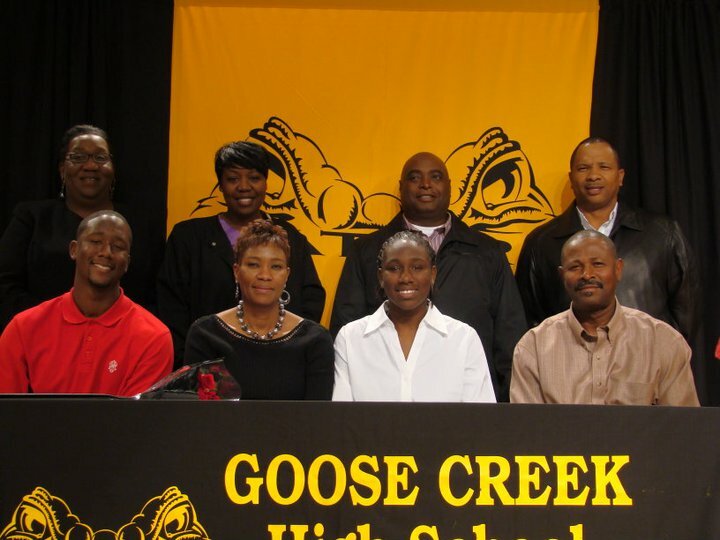 Ericka has been on the Goose Creek varsity team since 8th grade. 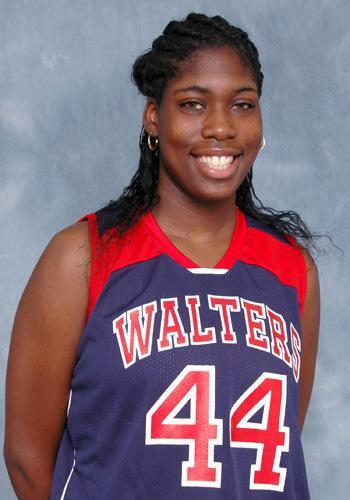 She has led and contributed to three team Region Championships and one Lower State Championship thus far in her career. 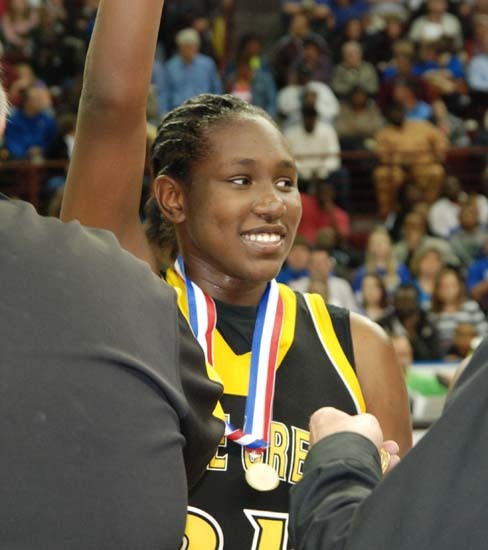 This year her Goose Creek team is currently the #1 ranked 5A team in the State and is 20-1. They appear poised for gaining a berth in yet another state championship game. 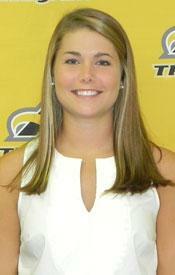 She is a mulit-year dual sports letterwinner as she also plays Volleyball as well. Ericka currently averages 11.5 points and 5.8 rebounds per game during this her senior season! 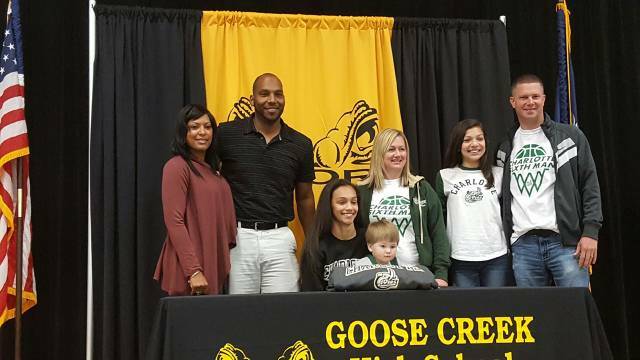 Ericka also led her Goose Creek team to another 5A REGION CHAMPIONSHIP this season and a probable berth in the STATE CHAMPIONSHIP game. 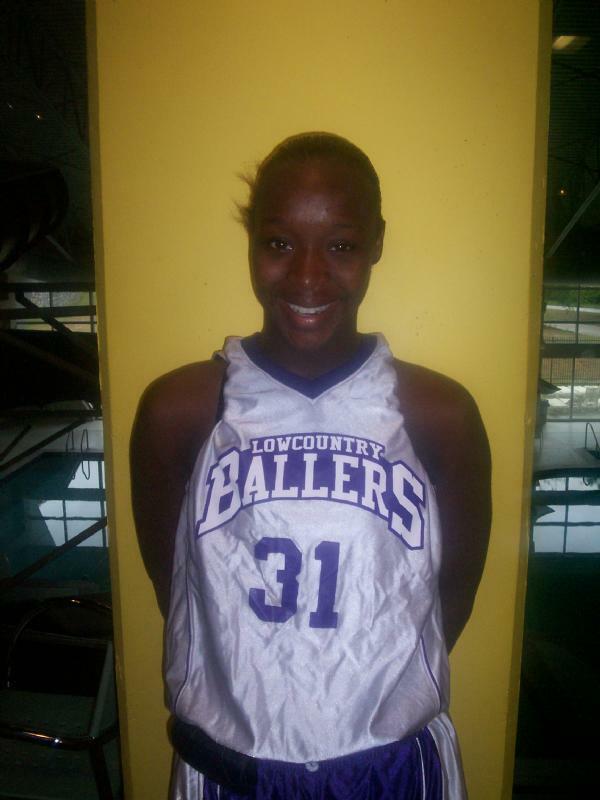 Ericka has played for the Lowcountry Ballers AAU Travel Club since 5th Grade. 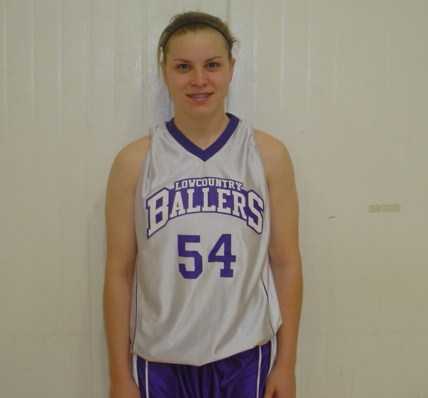 She has played for Coach Linney, Coach Baldwin and Coach Broughton, and the last 2 travel seasons on the Lowcountry Ballers Elite GIRLS SELECT team! 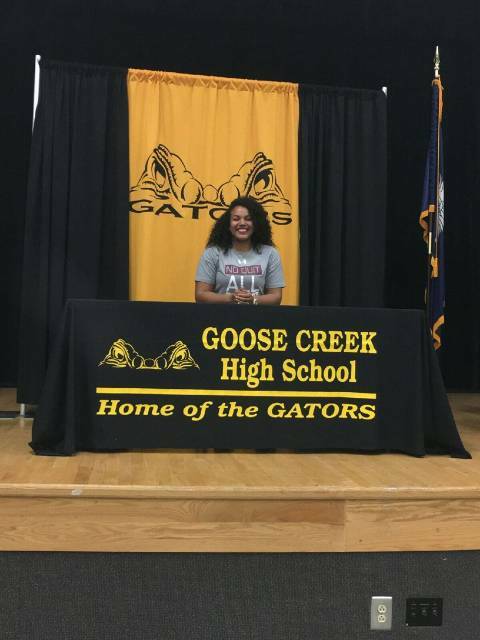 We wish you continued success and are looking forward to watching you play for the College of Charleston Cougars!!! 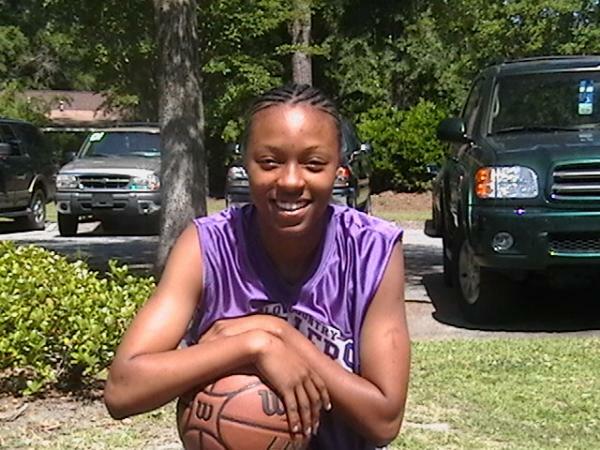 Mariah is a 5'10 point guard for her Goose Creek Lady Gators HS team. 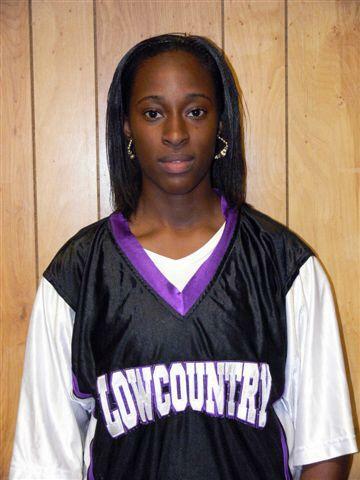 Her HS Head Coach Tim Baldwin, has been a long time supporter and coach with the Lowcountry Ballers since our inception! 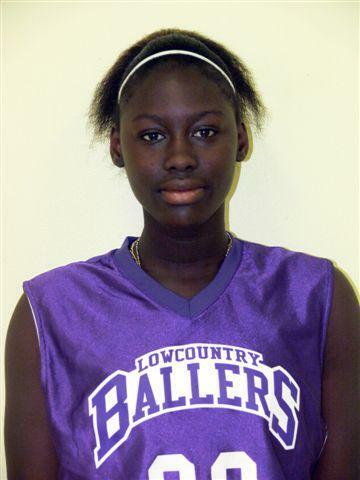 GIRL's Lowcountry Player of the Year! 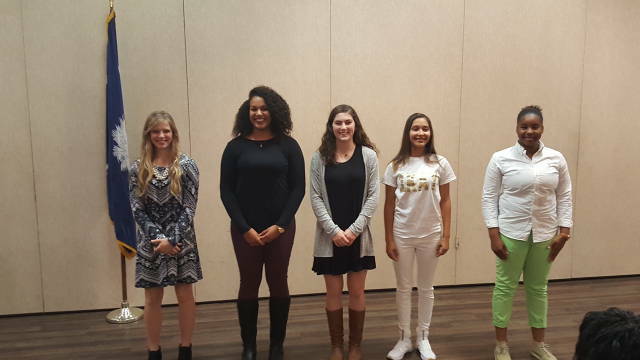 Mariah had received 13 other scholarship offers with over 30 other Colleges interested. She averages 15.1 points, 4.5 assists, 5 rebounds, and 5 steals per game during this her senior season! Mariah and Ericka have led their Goose Creek HS team to four 5A REGION CHAMPIONSHIPS and a LOWER STATE CHAMPIONSHIP in 2014! 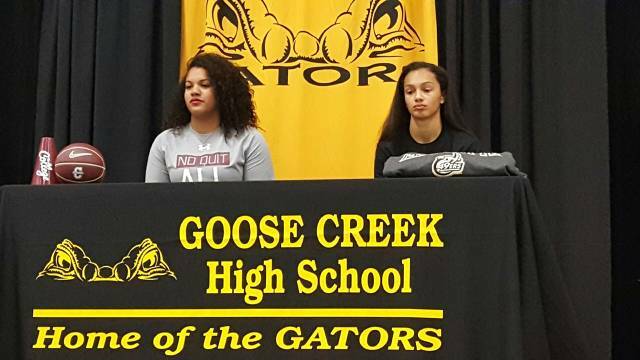 Their last 3 seasons they have led Goose Creek to a 68-13 record! 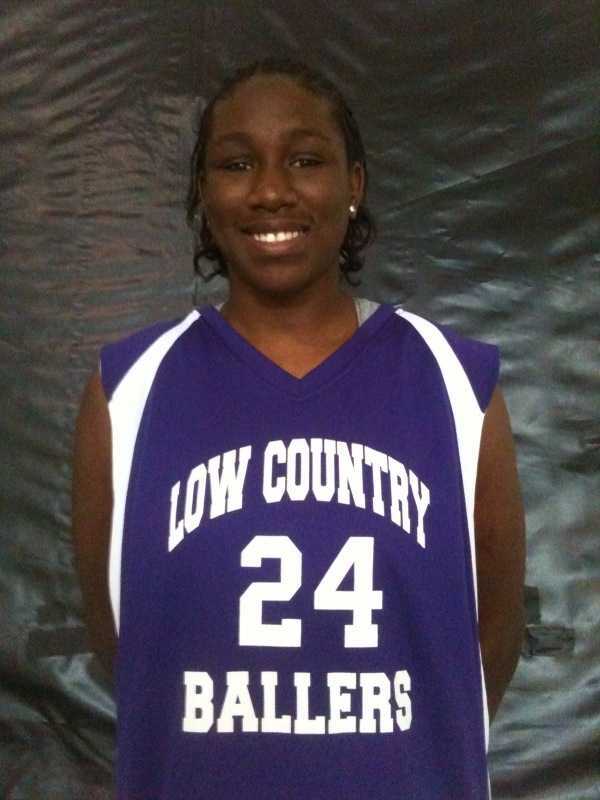 Mariah has played for the Lowcountry Ballers AAU Travel Club since 5th Grade. She has played for Coach Linney, Coach Baldwin and Coach Broughton, and the last 2 travel seasons on the Lowcountry Ballers Elite GIRLS SELECT team! We wish you continued success and are looking forward to watching you play for the Charleston 49'ers Women's program!!! SHELLY MCDONALD is the first Lowcountry Ballers in the Class of 2016 to sign a Letter of Intent for a COLLEGE SCHOLARSHIP during the Early Signing Period!!! 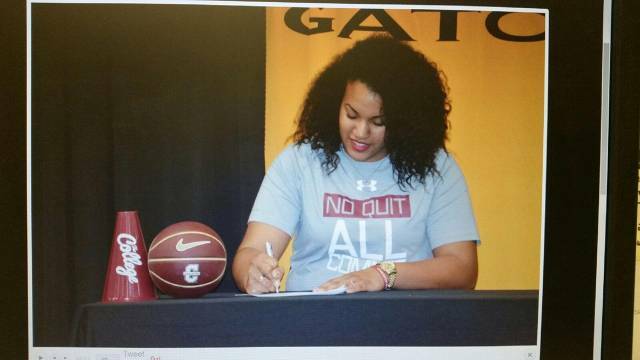 She is the first of several Class of 2016 Lowcountry Ballers to ink scholarships to college!!! 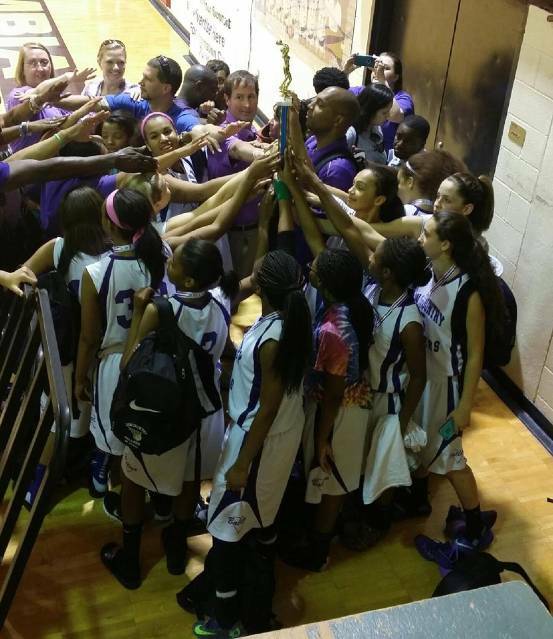 Congrats to ALL our LOWCOUNTRY BALLERS and their Parents!!! 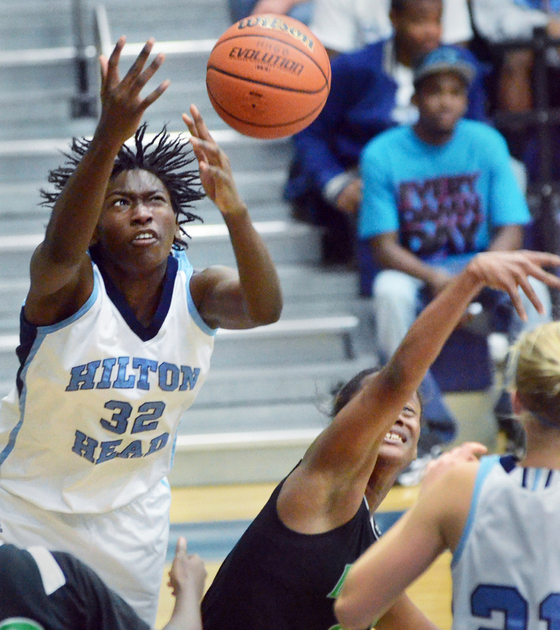 Shelly is a 6'2 Center for her Colleton Prep Academy HS team. Shelly has been selected as ALL Region, North-South All Star, and HSSR All State. 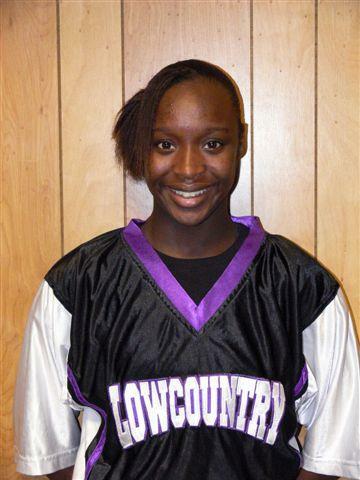 She is a mulit-year dual sports letterwinner at Colleton Prep Academy. 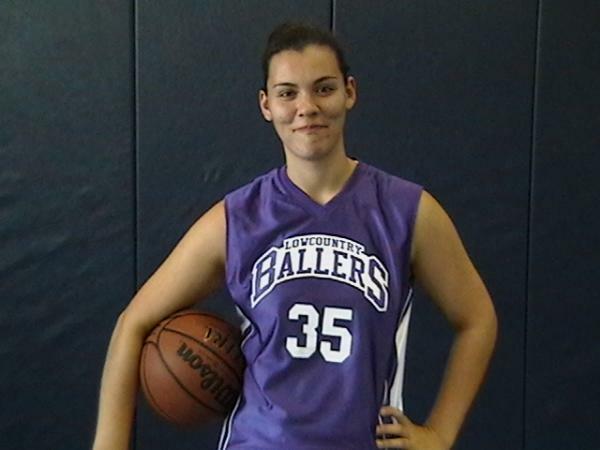 She averages 18 points, 12 rebounds, and 5 blocks per game during this her senior season! 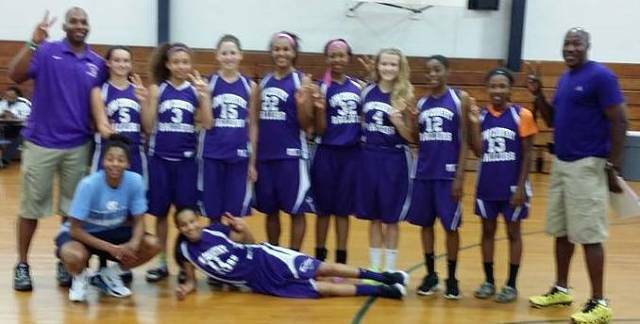 Shelly also led her Colleton Prep Academy team to the SCISA A REGION and STATE CHAMPIONSHIP in 2014. She is an excellent student athlete, carrying a 4.89 GPA, a member of the National Honor Society, SCISA Scholar Athlete, and has been a member of the back to back STATE CHAMPIONSHIP Tennis team for Colleton Prep Academy as well! 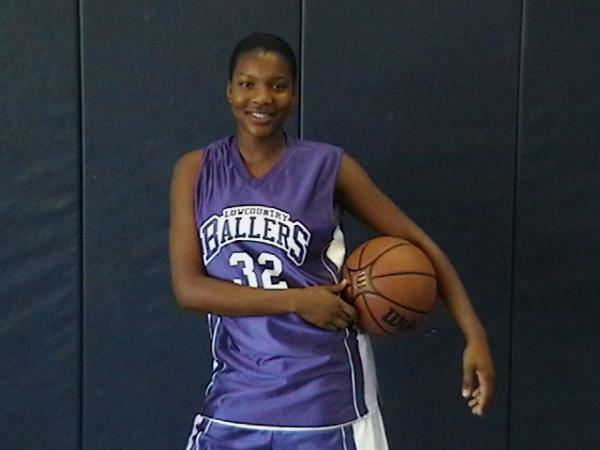 Shelly has played for the Lowcountry Ballers AAU Travel Club since 7th Grade. 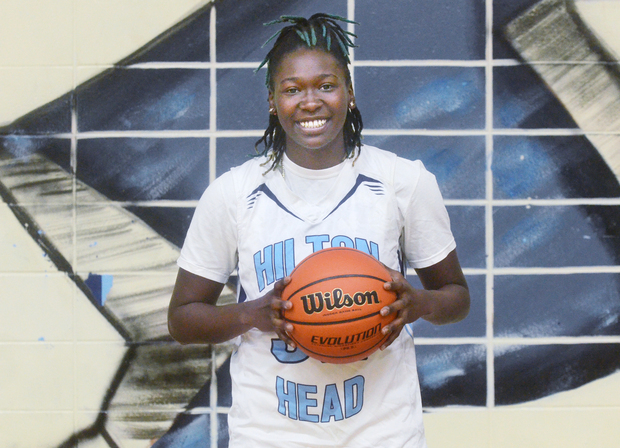 She has played for Coach Haynes, Fralix, and the last 3 travel seasons on the Lowcountry Ballers GIRLS SELECT team coached by Robert Jenkins, D.A. Aldridge, and O.J. Linney. We wish you continued success and are looking forward to watching you play for the Methodist University Monarchs!!! BROOKE DIXON & AMERICAL JENKINS are the first two Lowcountry Ballers in Class of 2015 to sign Letter of Intent for SCHOLARSHIPS during the NOVEMBER Early Signing Period!!! 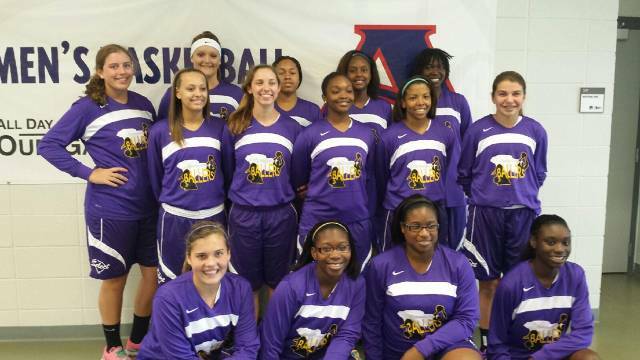 They are the first of several Class of 2015 Lowcountry Ballers SELECT PLAYERS to ink scholarships to college!!! Congrats to ALL our SELECT BALLERS and their Parents!!! 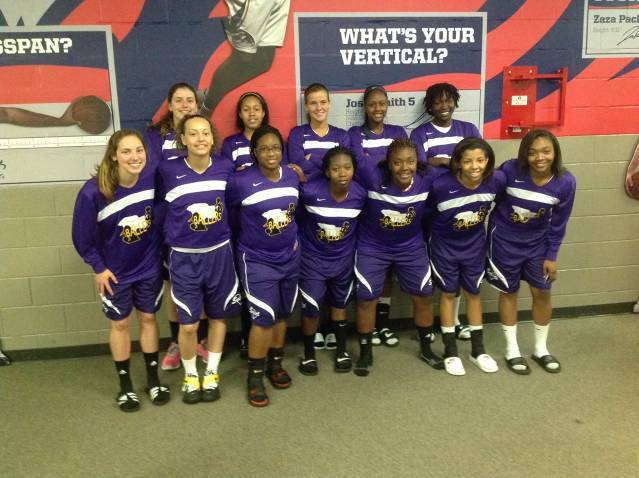 Brooke is a 5'8" guard for her Camden HS team. Brooke was selected as 2014-15 Preseason SCBCA Top AAA Senior Players. She is a 4 year letterwinner and also was chosen Class AAA All-Region! She averages 14.3 points, 3.8 rebounds, .8 steals, and 1.8 assists per game during this her senior season! Brooke is also President of her Senior Class, a member of the National Honor Society, and runs on the Camden HS Cross Country Team as well! 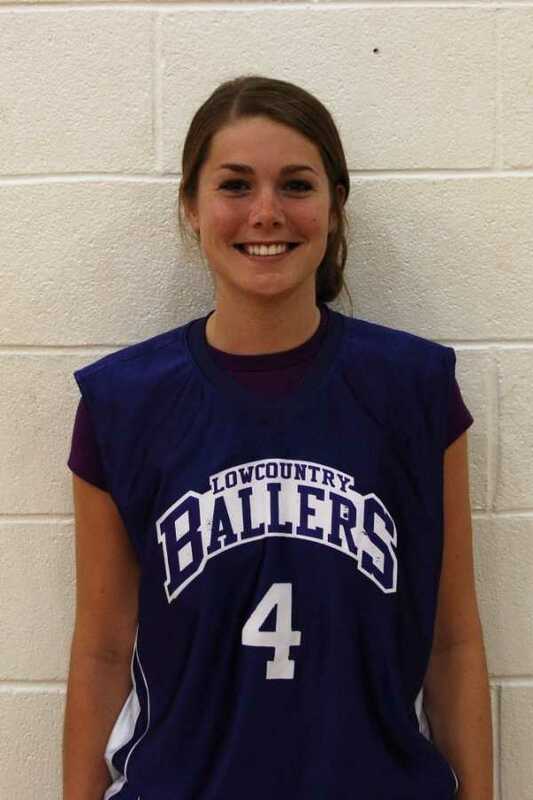 Brooke played just 1 year with the Lowcountry Ballers playing for Coaches Robert Jenkins, D.A. 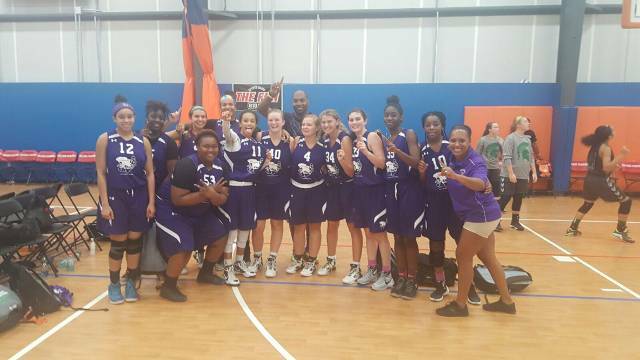 Aldridge, Mike Bennamon, & Derwin Daly on the SELECT GIRLS teams during the 2013-14 travel season! 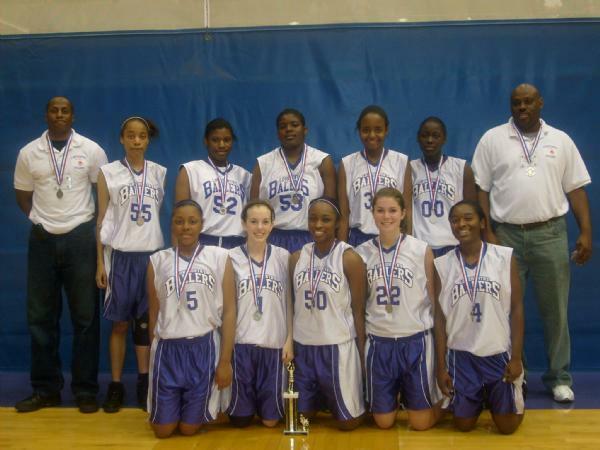 Prior to becoming a Baller she played with USC freshman phenom - A'Ja Wilson & stellar sophomore - Alaina Coates with the Palmetto 76ers. Special thanks to Mr. & Mrs Dixon for their dedication transporting Brooke from Camden, SC to the Charleston area for all the Lowcountry Ballers Select team practices and events! Brooke's dedication and work ethic were clearly contributing factors enabling this achievement! 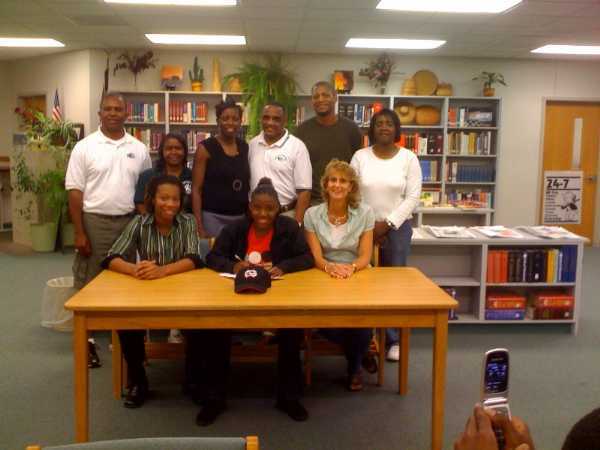 We wish you continued success and are looking forward to watching you play for the Francis Marion Lady Patriots!!! 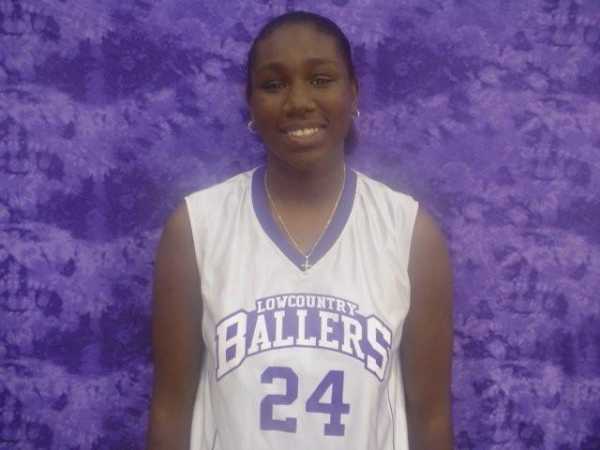 MYKAYLA GREENE joins BROOKE DIXON & AMERICAL JENKINS from the Lowcountry Ballers SELECT Girls Class of 2015 in earning a SCHOLARSHIP to play basketball!!! 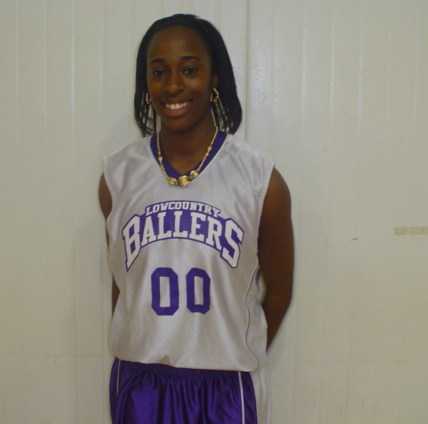 She is the another among several Class of 2015 Lowcountry Ballers SELECT PLAYERS to ink scholarships to college!!! 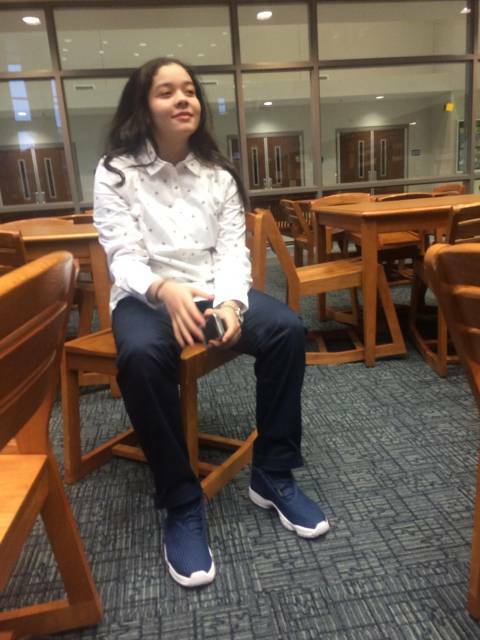 Mykayla is a 5'8" forward for her Stall HS team. 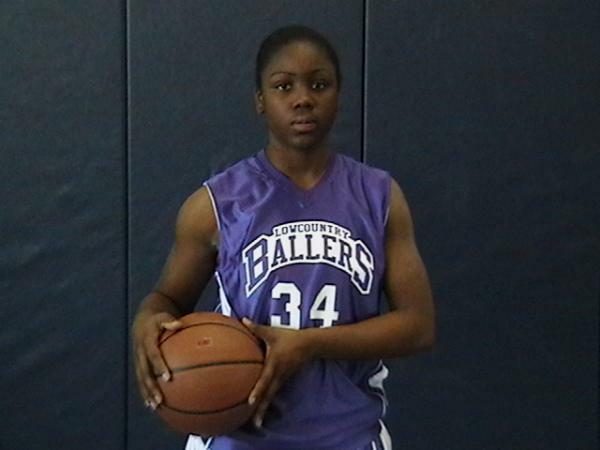 Mykayla is the first player to sign in the Barber-Scotia's Lady Sabers 2015 class. She averaged 10 points and 4 rebounds per game during her senior season! 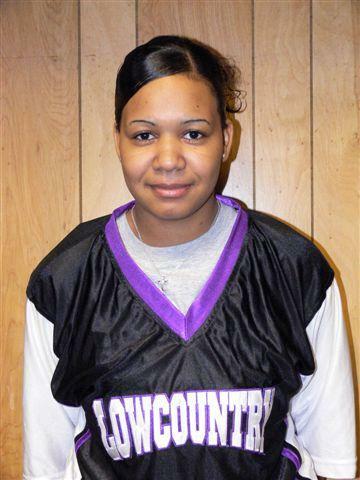 Mykayla played just 1 year with the Lowcountry Ballers playing for Coaches Robert Jenkins, D.A. 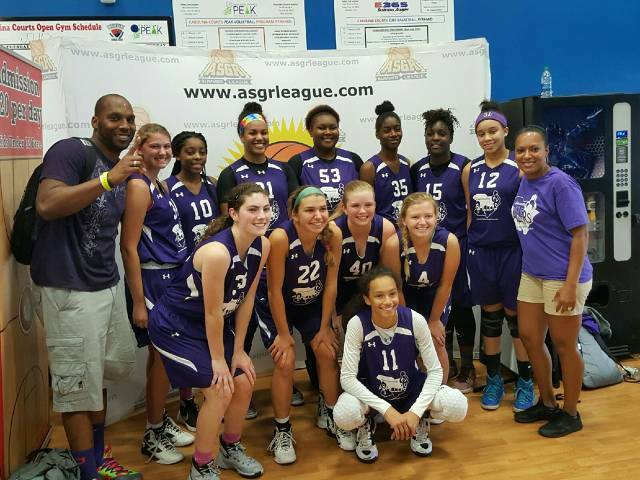 Aldridge, Mike Bennamon, & Derwin Daly on the SELECT GIRLS teams during the 2013-14 travel season! 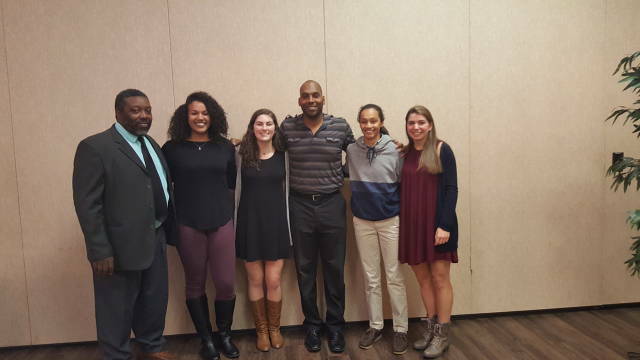 AMERICAL JENKINS & BROOKE DIXON are the first two Lowcountry Ballers in Class of 2015 to sign Letter of Intent for SCHOLARSHIPS during the NOVEMBER Early Signing Period!!! 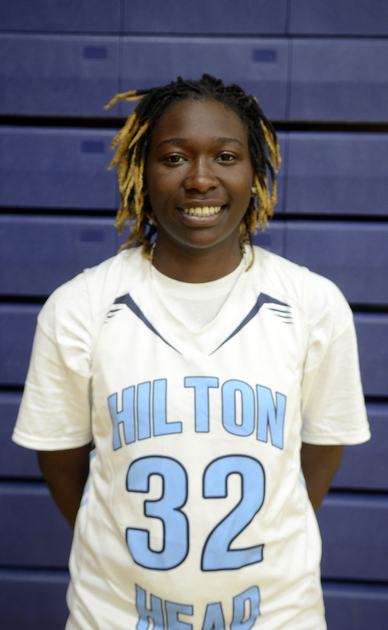 Americal is a 5'11" forward for her Hilton Head HS team. 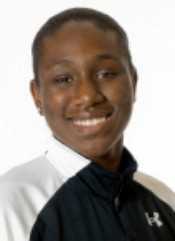 Americal was selected as 2014-15 Preseason SCBCA Top5 AAA Senior Players. She also was chosen Class AAA All-State and is the reigning IP/BG Player of the Year! 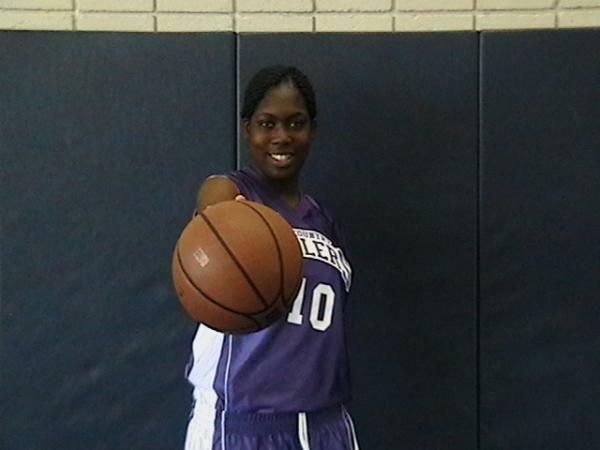 She averaged 12.7 points, 16.2 rebounds, 2.8 steals, and 2.3 assists per game during her junior season last year! 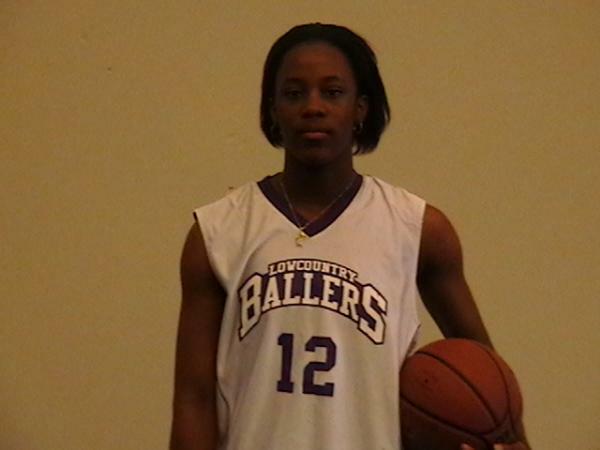 Americal played 2 years with the Lowcountry Ballers playing for Coaches Robert Jenkins, D.A. Aldridge, Mike Bennamon, O.J. 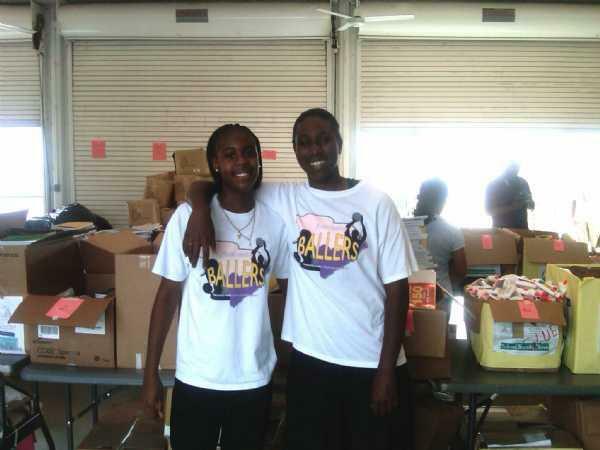 Linney, & Derwin Daly on the SELECT GIRLS teams during the 2011-13 travel seasons! Special thanks to Americal's Hilton Head and Lowcountry Select Baller teammate Savannah Reir and Mr. & Mrs. Reir for all their support and contributions enabling this achievement! 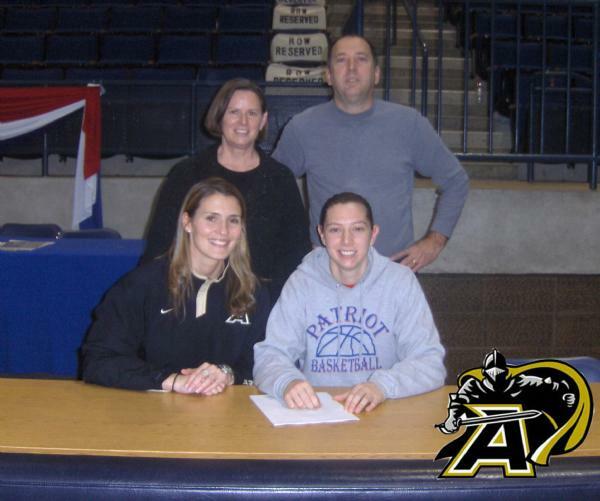 We wish you continued success and are looking forward to watching you play for the Anderson University Trojans!!! 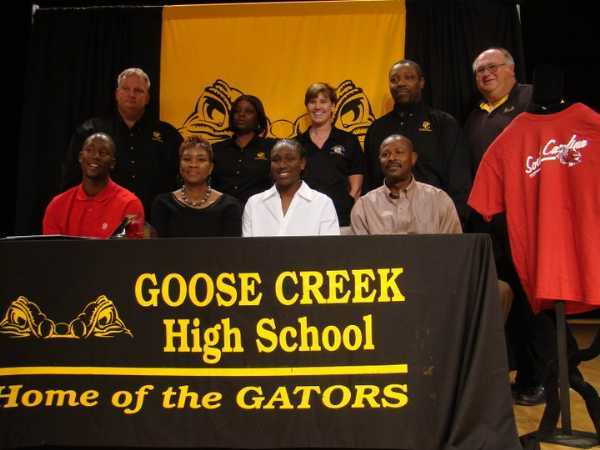 DEMETRE RIVERS is the first Lowcountry Ballers in Class of 2014 to sign SCHOLARSHIP during Early Signing Period!!! 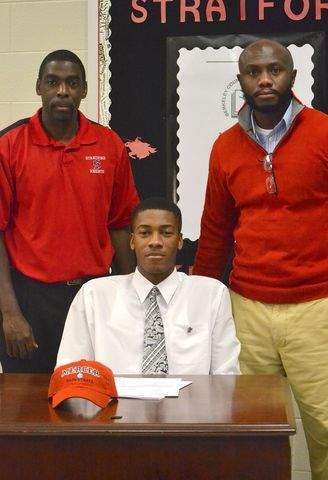 DEMETRE RIVERS is the first of several Class of 2014 Lowcountry Ballers SELECT BOYS to a scholarship to college!!! Emily led her Wando Warriors to a 18-7 record, 2nd place 7-AAAA Region finish and into the AAAA SC STATE Tournament 2nd round. 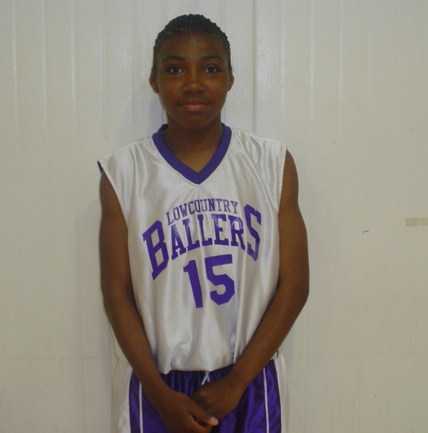 She averaged 15.2 points, 3.8 rebounds, 2.2 assists, and 1.9 steals a game. 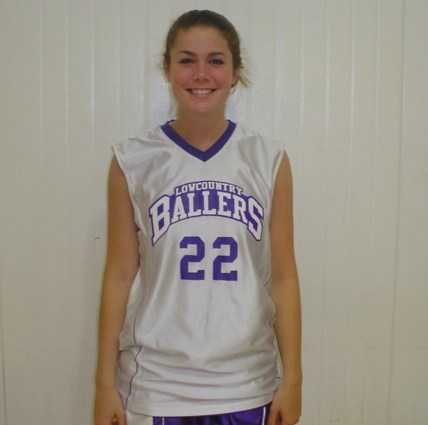 Emily played 2 years with the Lowcountry Ballers on the 15U and 16U teams. We wish you continued success and are looking forward to watching you play forward for the Anderson Lady Trojans!!! 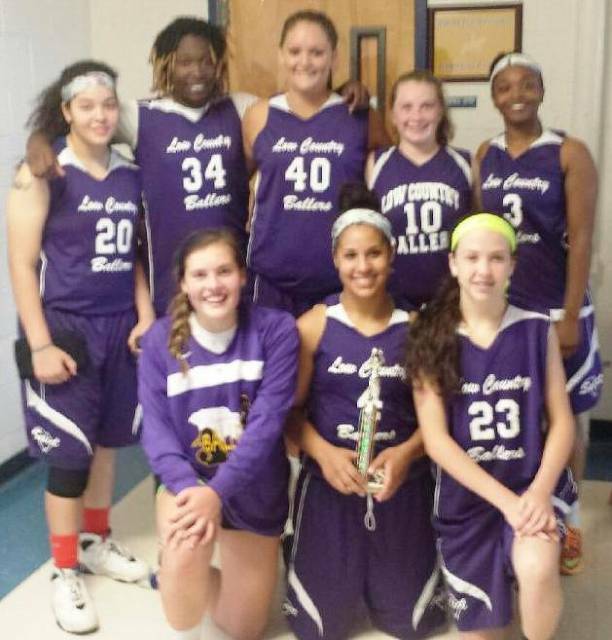 This selection designates the top Senior players from South Carolina. 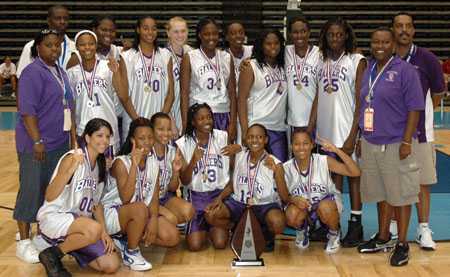 They compete March 20, 2009 at North Myrtle Beach HS. We're GLAD that you all are BALLERS!!! 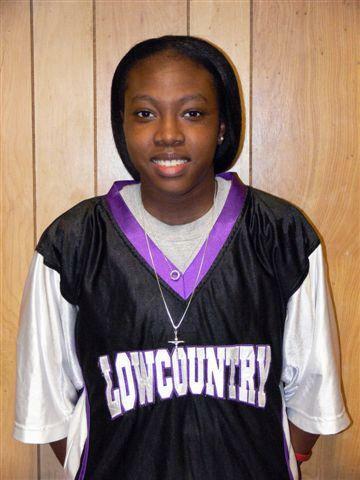 Click HERE to see ALL the players selected from the Lowcountry. Jonelle is also an excellent student. 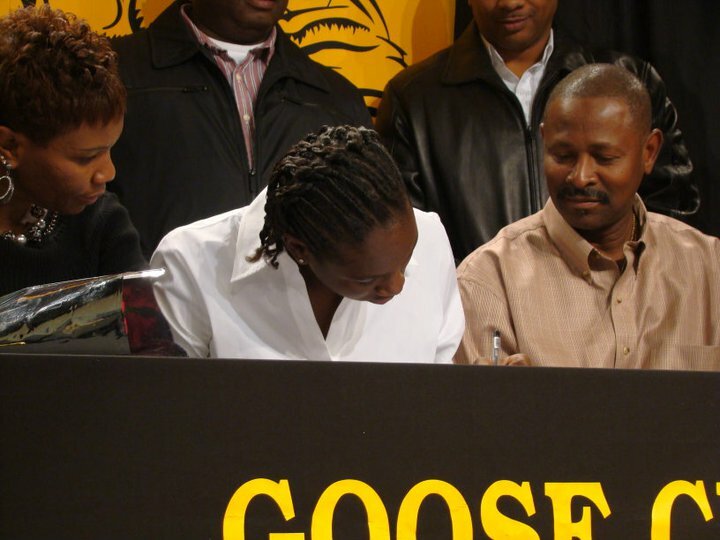 While she had schools such as Jacksonville, AL, CSU, and others also interested she felt Limestone was the best choice for her both academically and athletically. She intends to study business administration. 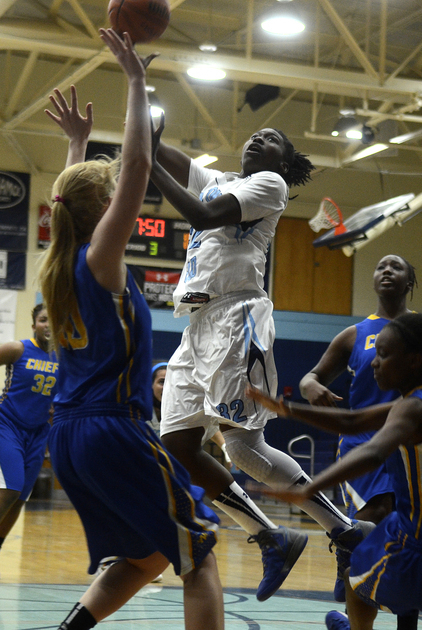 Jonelle averaged 11.6 pts and 5.4 rebounds per game last season. We wish you continued success and are looking forward to watching you play forward for the Limestone Saints!!! Raven is also an excellent student. 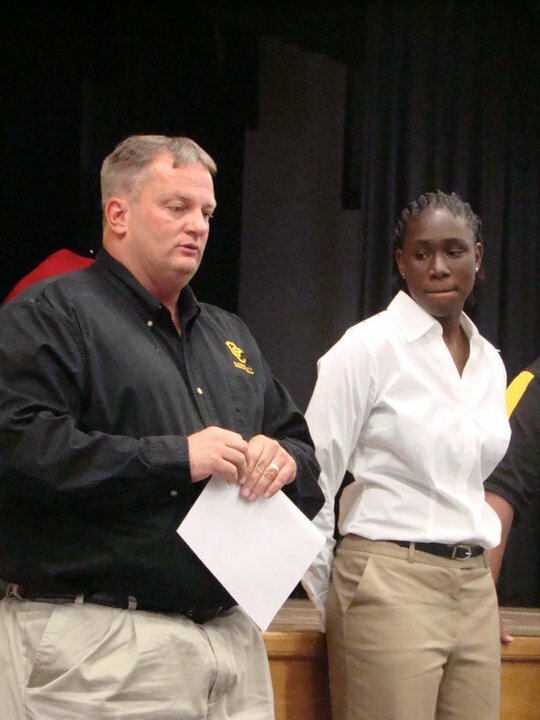 While leading her Woodland HS to yet another 6-AA Region title, she was able to maintain an outstanding GPA! We wish you continued success and are looking forward to watching you play guard for the North Greenville Lady Crusaders!! Denicsha is also an excellent student. 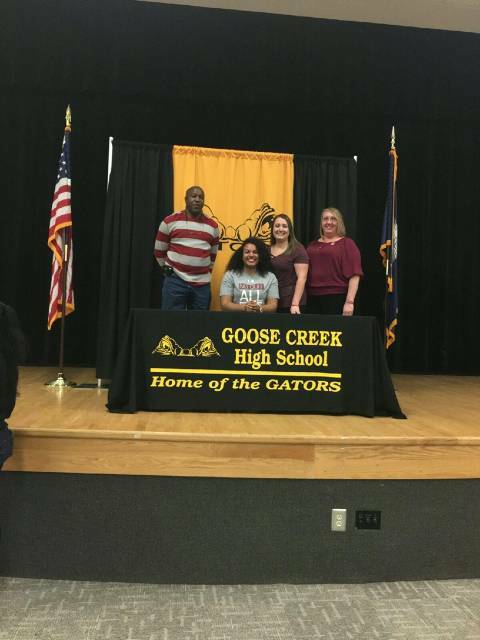 While leading her Goose Creek HS Lady Gators to yet another 7-AAAA Region title and the Lower State Championship game, she was able to maintain a 4+ GPA, thus augmenting her Erskine athletic scholarship with an academic one as well! 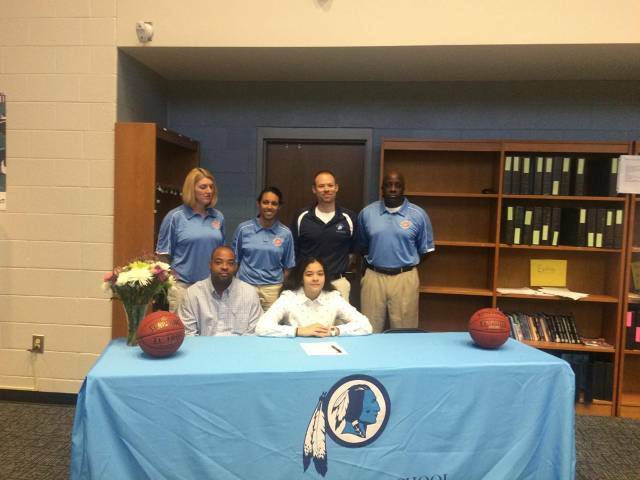 We wish you continued success and are looking forward to watching you play guard for the Erskine Lady Flying Fleet!!! 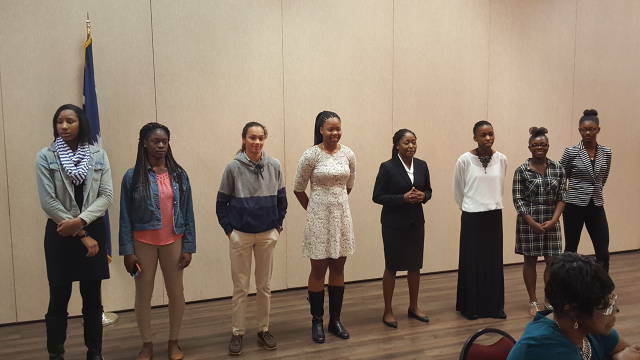 Dee is also an excellent student as she is a Palmetto Fellow. While leading her First Baptist team this past season, she was able to maintain a 4+ GPA, thus augmenting her Sewanee athletic scholarship with an academic one as well! We wish you continued success and are looking forward to watching you play guard for the Sewanee Tigers!!! 13U, 14U, 15U and JRs Team. Click HERE to see ALL the players selected. This selection designates the top Senior players from the South Carolina. They competed March 21, 2009 at Socastee HS. Strengths - Rebounding, defense, 12-ft jumper, runs the floor well. Improvement Areas - Back to basket, post moves. Congratulations to Toi and her family!!! We wish you continued success and are looking forward to watching you set and spike for the Pantherettes!!! Congratulations to Traci and her family!!! 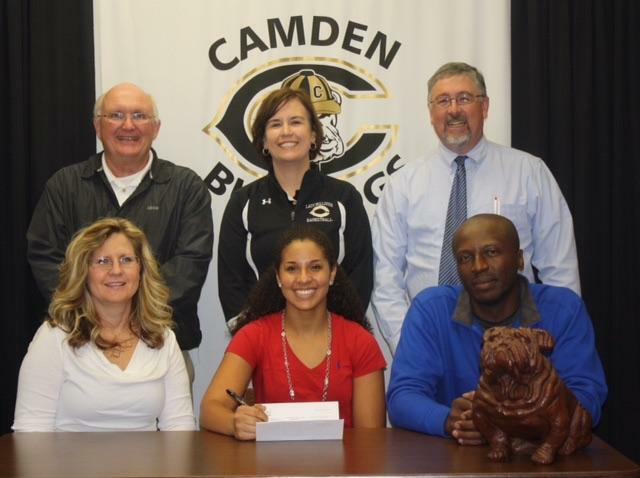 We wish you continued success and are looking forward to watching you play guard for the GSU Lady Panthers!!! Congratulations to Chantel and her family!!! We wish you continued success and are looking forward to watching you play center for the WSCC Lady Senators!!! 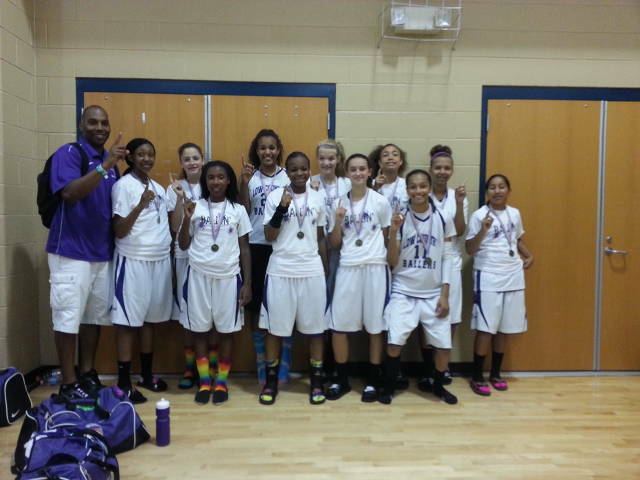 Congratulations to Dynasty and her family!!! 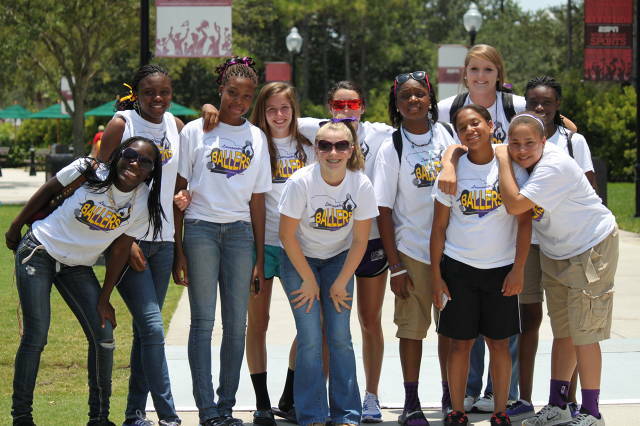 We wish you continued success and are looking forward to watching you play forward for the CSU Lady Bucs!!! 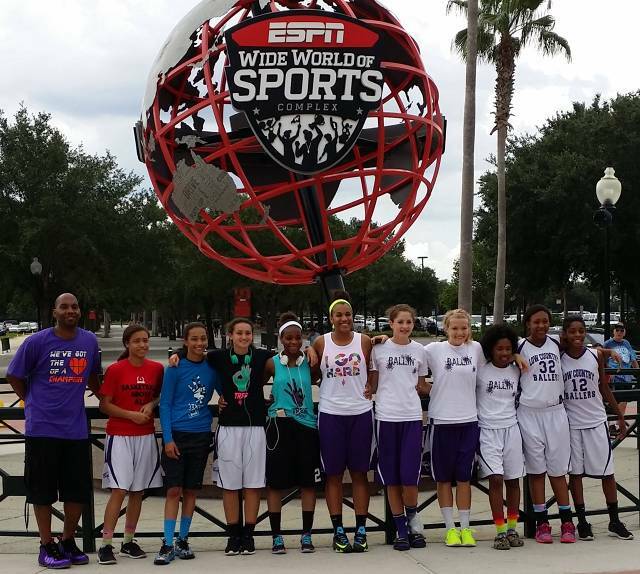 Danielle and the rest of the Ballers played in front of approximately 70 college coaches during the weekend. Attends Columbia College in Columbia, SC majoring in Business Adminstration. 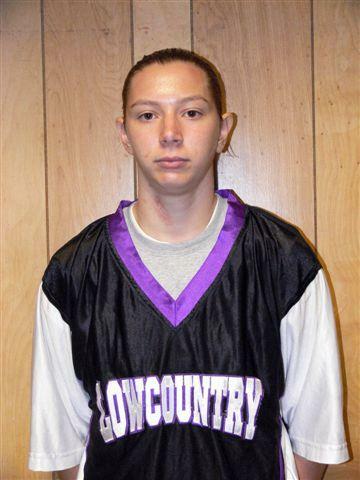 She also plays basketball and is a guard for the Columbia College Fighting Koalas!!! We wish you continued success at CC and beyond!!! 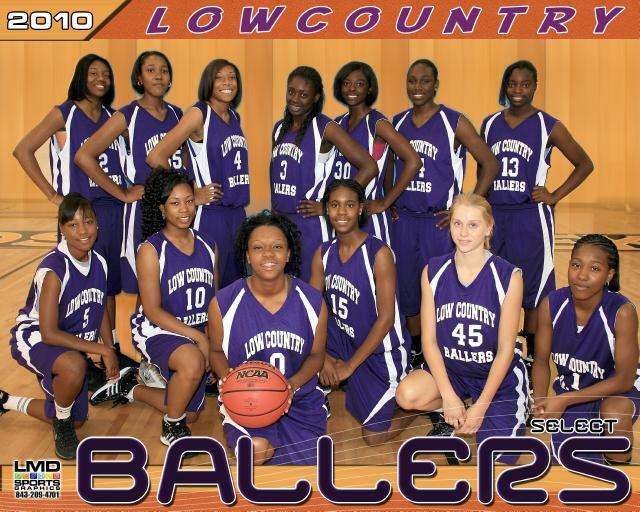 Thanks for being a Lowcountry BALLER!!! Click on Ashley's CC picture to read more at the CC website. Previously, attended Walters State Community College in Morristown, TN majoring in General Studies. She also plays basketball and is a forward for the WSCC Lady Senators!!! We wish you continued success at WSCC and beyond!!! Attends Georgia State University in Atlanta, GA, majoring in Criminal Justice. 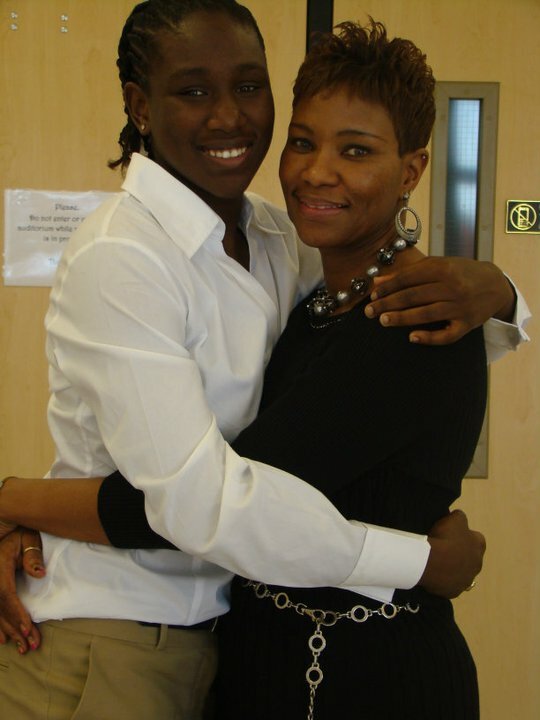 She also plays basketball and is the shooting guard for the GSU Lady Panthers!!! We wish you continued success at GSU and beyond!!! 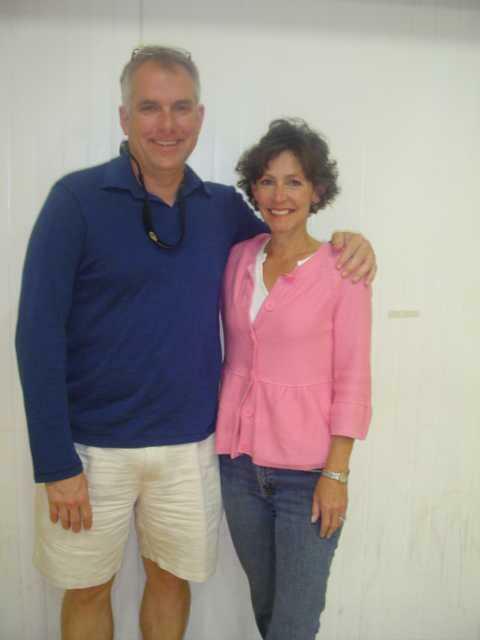 Click on Traci's GSU picture to read more at the GSU website. Attends Claflin University in Orangeburg, SC majoring in Business-Accounting. She also plays volleyball and is the starting setter and outside hitter for the Pantherettes!!! We wish you continued success at Claflin and beyond!!! Click on Toi's CU picture to read more at the Claflin website. Attends Charleston Southern University in Charleston, SC majoring in Psychology. 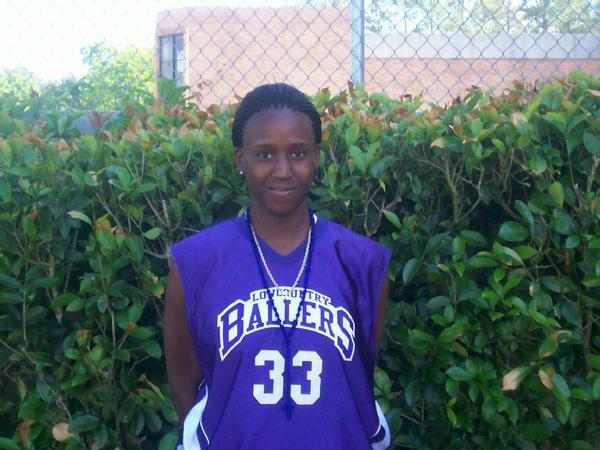 She also plays basketball and is a forward for the CSU Lady Buccaneers!!! 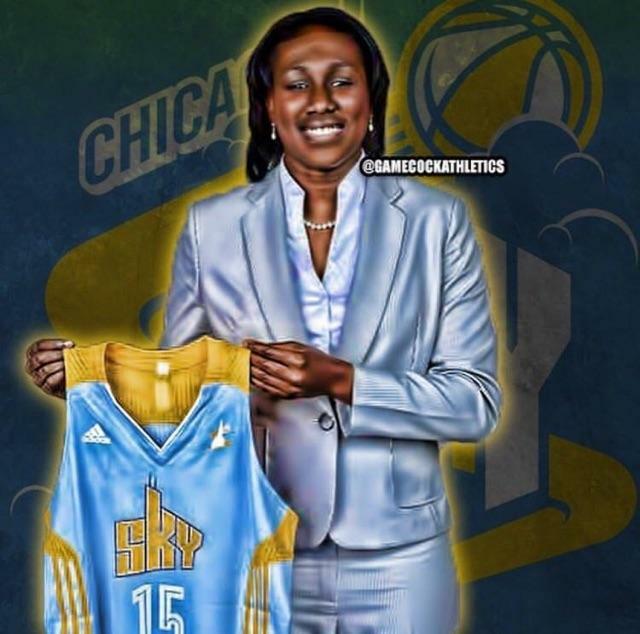 We wish you continued success at CSU and beyond!!! Click on Dynasty's CSU picture to read more at the CSU website. 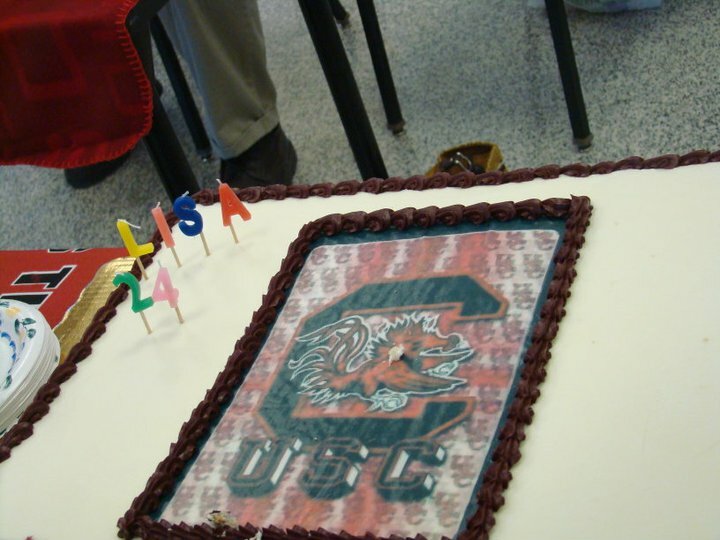 Attends University of South Carolina in Columbia. 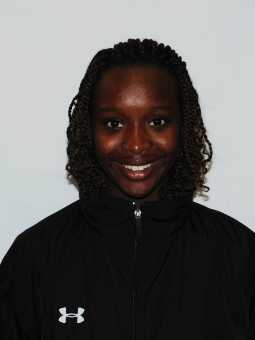 She is a member of the Gamecocks Track and Field Team!!! We wish you continued success at USC and beyond!!! Attends U.S. Military Academy at West Point (ARMY) in New York. 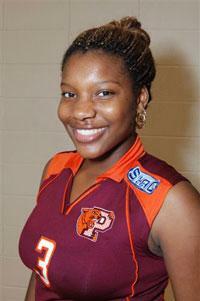 She also plays basketball and is a shooting guard for the ARMY Lady Panthers!!! We wish you continued success at USMA and beyond!! !